The survivors' bodies issued a joint statement on Sunday accusing the Madhya Pradesh and central governments of neglecting the victims. 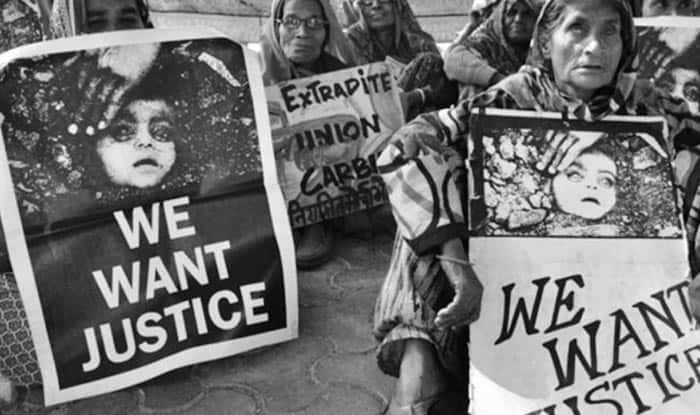 Bhopal: It has been 34 years since the Bhopal gas tragedy took place on the intervening night of December 2-3, 1984, but survivors continue to demand proper rehabilitation and adequate compensation besides proper medical treatment for ailments caused by the toxic leak. In what is termed as the world’s worst industrial disaster, over 15,000 people were killed after methyl isocyanate leaked on that fateful night from the pesticide plant of Union Carbide India Limited (UCIL) in the city. More than five lakh people were affected due to the toxic leak. The survivors’ bodies including the Bhopal Gas Peedit Mahila Stationery Karmchari Sangh, Bhopal Gas Peedit Mahila Purush Sangharsh Morcha, Children Against Dow Carbide and the Bhopal Group for Information and Action (BGIA) issued a joint statement on Sunday accusing the Madhya Pradesh and central governments of neglecting the victims. Rachna Dhingra of the Bhopal Group for Information and Action said, “Recent scientific studies show that deaths and diseases attributable to exposure to Union Carbide’s gases continue to occur in Bhopal. Yet, over 80 per cent of the recommendations of the Supreme Court-appointed monitoring committee for medical rehabilitation of victims remain to be implemented. While claiming that about 20,000 persons died due to the gas tragedy and its subsequent effects, convener of Bhopal Gas Peedit Mahila Udyog Sanghathan (BGPMUS) Abdul Jabbar said, “The pittance which was disbursed as compensation in most instances was never enough to take care of their daily needs. “Finding gainful employment in accordance with the reduced capacity to work, and to lead a dignified life has been a serious challenge for survivors,” he said. Jabbar also alleged that the toxic waste generated during UCIL’s operation from 1969 to 1984 was dumped in and around the plant, leading to severe soil and water contamination. “A comprehensive study to estimate the extent and gravity of the damage has not been carried out. Instead, the magnitude of the problem has been grossly underestimated by authorities,” he said.